Would you believe that, while I’ve been writing this blog for over 6 years now and have taken on countless DIY projects, I’ve never built anything on my own? 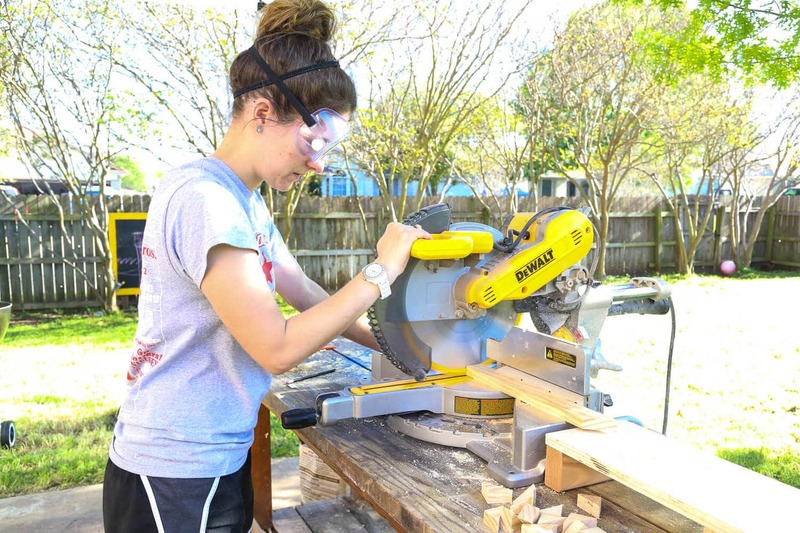 I’m relatively familiar and comfortable with most power tools, I know how to operate them, and I am not scared to use them. However, I have no idea how to actually make anything with them. I’m not one of those people that can pop into the workshop for a few hours and end up with something to show for it – I just stand there uselessly staring at everything and wondering where to start. One of my goals for this year was to learn a new skill, and I’ve officially decided that I”m going to learn how to do some basic woodworking. I don’t want to do anything crazy, but it’s high time I learned my way around the workshop and get comfortable with building a few different things. And, guess what? 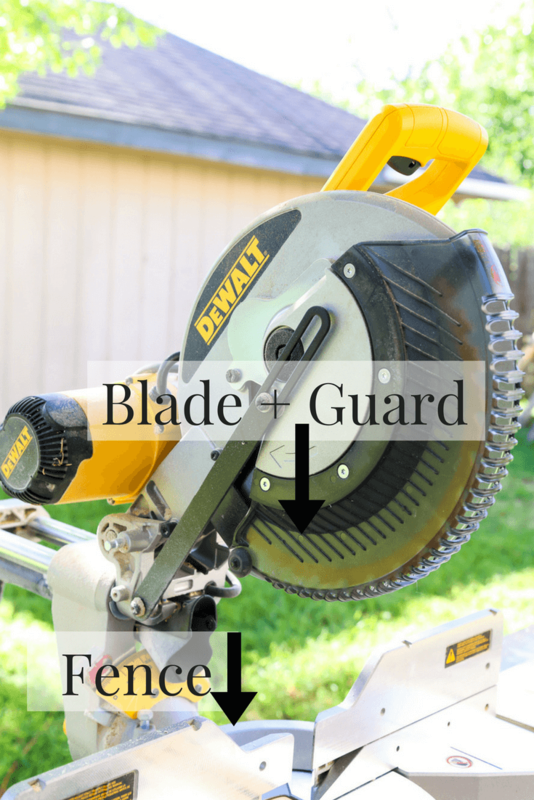 I’m taking you along for the ride – with an entire series on power tools for beginners! 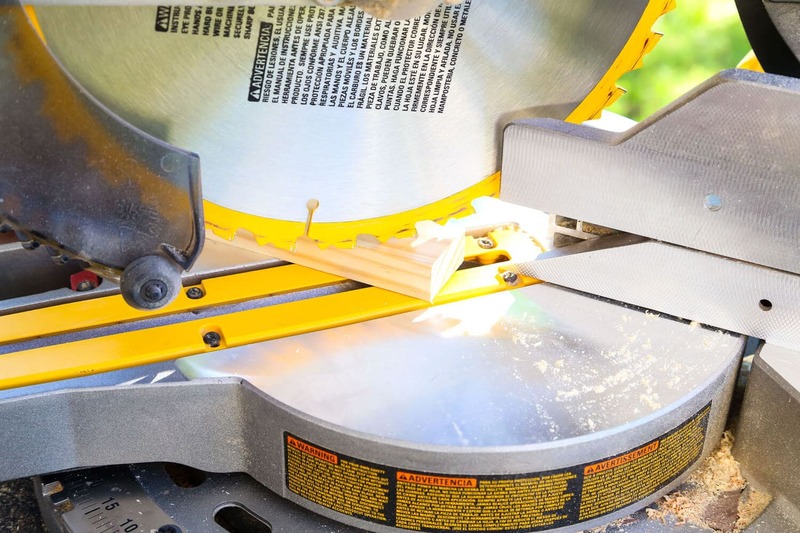 We’re kicking off the series with a tutorial on how to use a miter saw. No idea what that is? 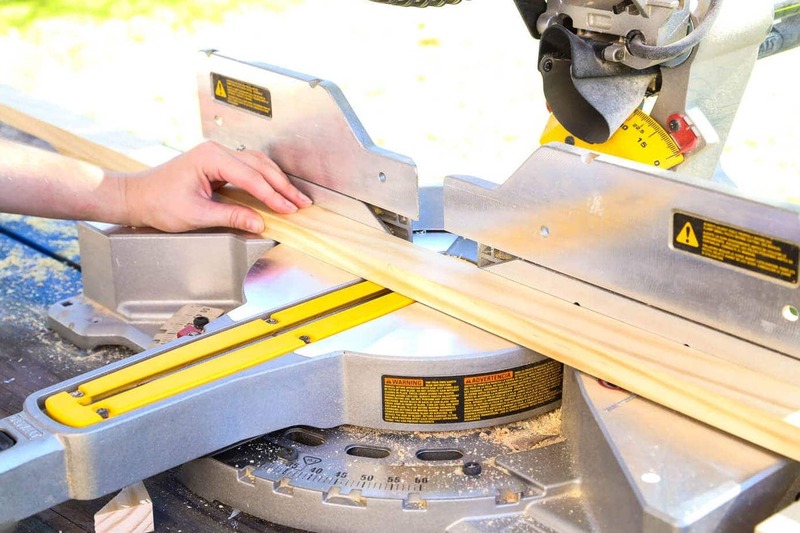 It’s a saw that’s used to make cuts across wood – it’s perfect for cutting down wood for baseboards, art projects, shelves, and more. 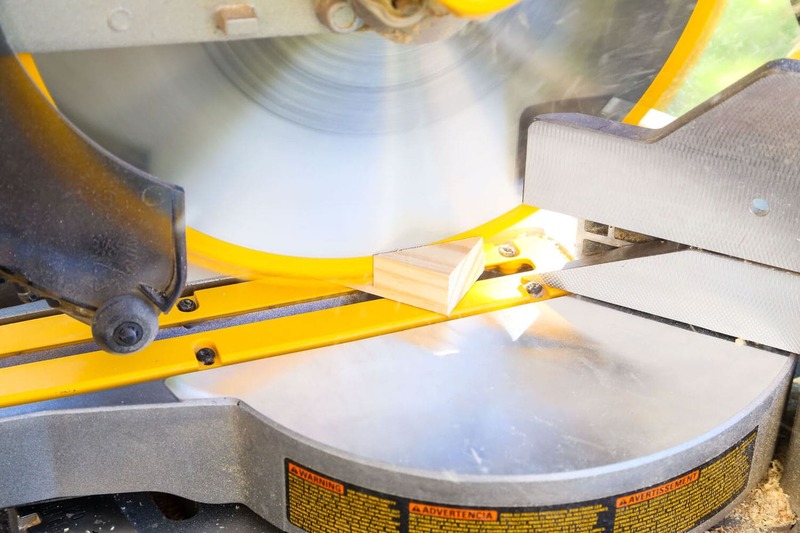 You can cut wood at all sorts of different angles and for about a zillion different purposes, but we’re keeping it simple today – we’re talking about making basic 90-degree (or straight) cuts, and 45-degree cuts (for making corners). 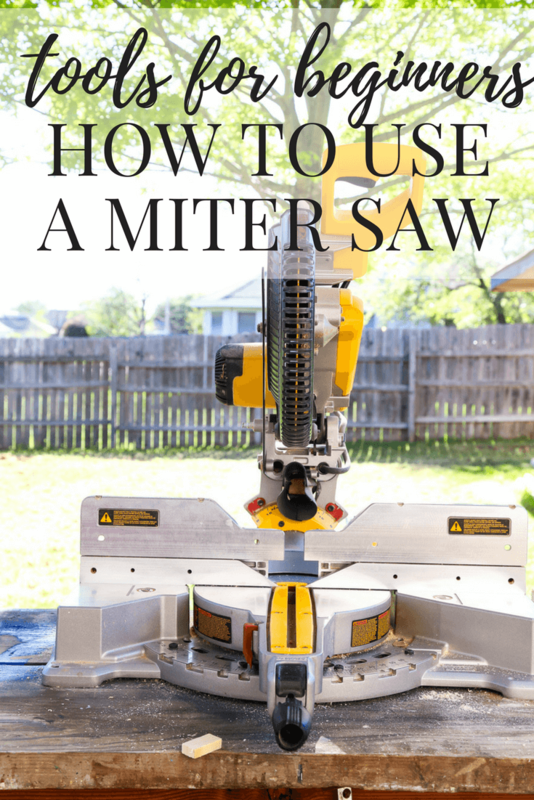 What can you do once you know how to use a miter saw? 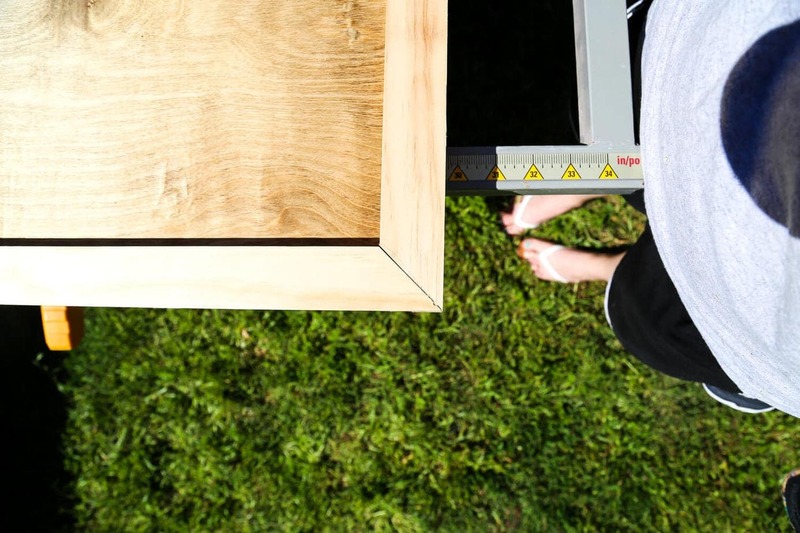 You can make DIY frames, you can install baseboards (though that’s a slightly more complex process – it’s not as bad as you might imagine! 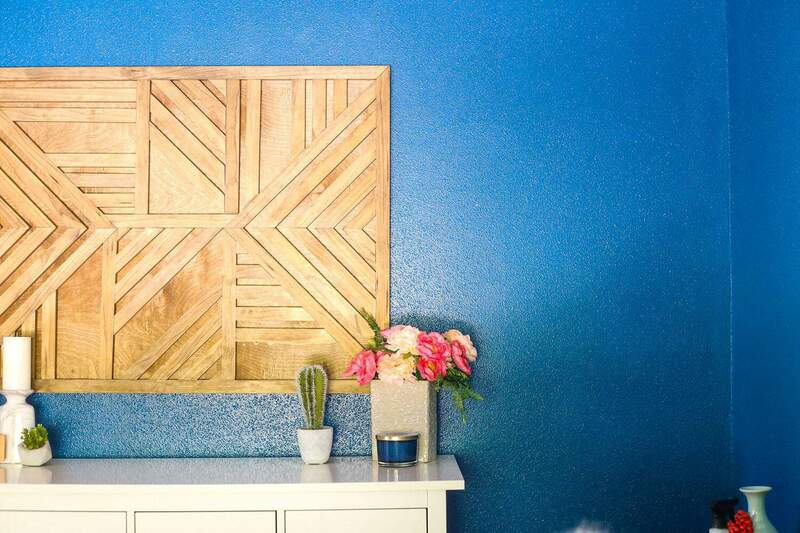 ), and you can create the gorgeous DIY geometric art piece that I showed you last week. Plus about a million other things – the sky’s the limit here, my friends. I made a short video to show how it’s done, but if you can’t watch the video, keep reading for the details. 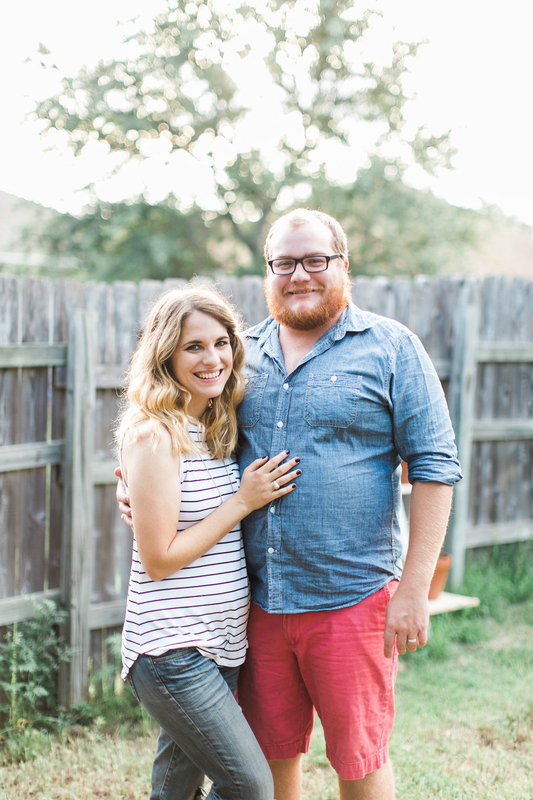 Super obvious disclaimer: I’m not an expert, I’m just a girl who has a husband who taught her how to use a miter saw. Power tools are dangerous if you don’t know what you’re doing. Be careful, my friends. If you prefer, you can watch the video on YouTube right here. Okay, so let’s break it down a bit. First up – the parts of the saw. This is the part that cuts the wood. Duh. The guard will slowly move away from the blade as you lower it down, and will cover it back up as you release. Don’t get your fingers anywhere near this section…unless you want to lose one. This sticks up from where you set the wood – it’s what you want to push the wood up against to make sure that your cuts are straight and even. If you don’t remember to push the wood against the fence, you could end up with a weird, angled cut, or the wood could go flying because it’s not being supported on both sides. You should always use one hand to gently hold the wood against the fence, and the other to operate the saw. This is how you operate the saw. When you press the button up on the handle, the blade starts spinning, and when you let go, it stops. Pretty basic! This part has pre-measured angle stops so you can rotate the table to create different angled cuts. If that little red notch is pointing to 0, you’re creating a straight cut. If it’s at 45, you’re making a 45-degree angle. And so on. You use the lock handle that sticks out from this to rotate the table and get the right angle – we only played around with straight cuts and 45-degree angles in the video, but you can make just about any angle your little heart desires! So, now that you’re familiar with the parts, you basically know how to use it. Seriously – it’s that simple! And test the placement of the blade. Below, I was making a 45-degree cut and I was trying to just cut the corner of the wood off. So, I carefully lowered the blade (without turning it on), and adjusted the placement of the wood until I knew the blade would hit right where I wanted it to. Then, I raised the blade back up, hit the power switch, and went to town! And, if you measure just right, you’ll get perfectly mitered corners. 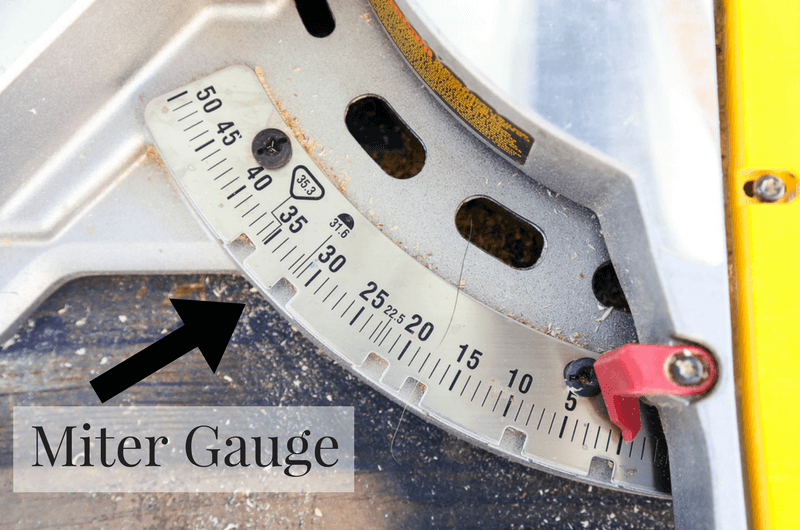 One thing to remember: when you are measuring and lining up your wood, don’t forget to factor in the width of the blade itself. If you line it up on the inside of your cut, you’ll end up with a short piece of wood because of the blade. The first time Corey explained this to me I had no idea what he was talking about, but the first time I lined it up wrong it instantly clicked in my mind. So basically what I’m saying it, tuck that in the back of your mind, and it will all come back to you the first time you inevitably make that mistake. It’ll make sense. Promise. It sounds so cheesy to say, but I feel so empowered now that I know how to use this tool. I feel like I can actually take on projects without having to ask Corey for help, and it makes me so pumped to start learning how to use other tools. 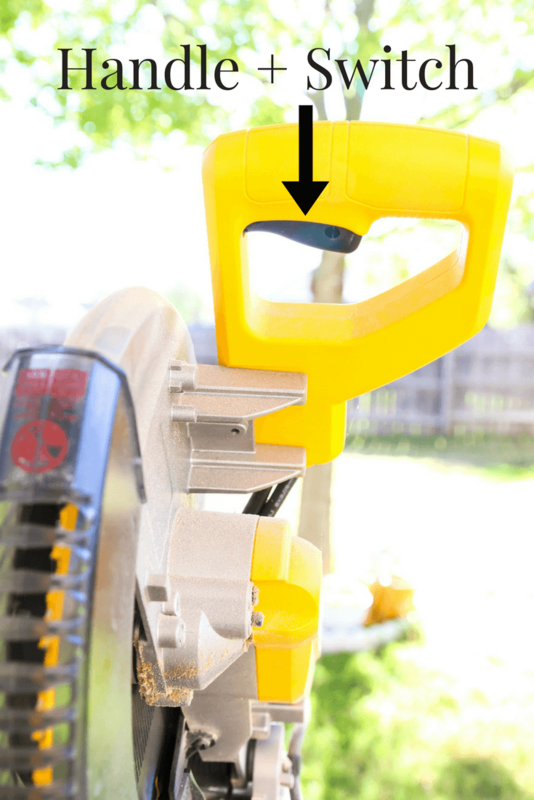 What projects do you think you’ll take on now that you know how to use a miter saw? Excellent post. Nice tools for everyone. The tools look very handy and comfortable. My husband was longing for a miter saw. I used to be sent him your Tutorial link.I love to check a tutorial on Miter Saw Stand. I’m excited to learn more! !